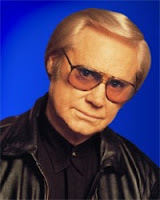 The funeral for George Jones will take place at The Grand Ole Opry House in Nashville starting at 10 AM CT today. The service will be open to the public and doors will open at 9 AM. The funeral service will also be broadcast live on the national television networks CMT, GAC, RFD, and FamilyNet. The service for the legendary singer will include music from Charlie Daniels, Vince Gill, Patty Loveless, Alan Jackson, Ronnie Milsap, Kid Rock, The Oak Ridge Boys, Brad Paisley, Randy Travis, Travis Tritt, Tanya Tucker and Wynonna. Former First Lady Laura Bush, Kenny Chesney, Barbara Mandrell, Grand Ole Opry VP&GM Pete Fisher, Tennessee Governor Bill Haslam, former Arkansas Governor Mike Huckabee, and CBS News' Chief Washington Correspondent Bob Schieffer will all make special remarks.